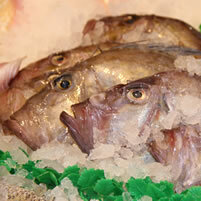 High quality fish, poultry and game since 1890. 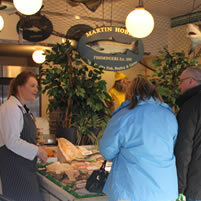 Hobbs Fishmongers have been a first class quality establishment in Market Harborough since 1890. Purchased by Martin and Norah Hobbs in 1969 it has continued to serve fresh and locally sourced produce for decades and is now run by Jenny Hobbs. Other staff include Sue, Amy, Jackie and Caris. An all girl team that's always happy to talk and give advice on fish preparation, cooking, etc. 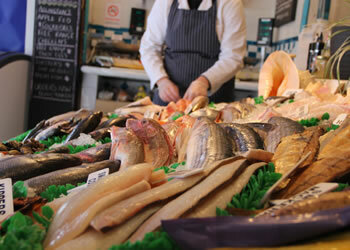 We stock a wide selection of fresh fish, ranging from the simple fresh herring to the more exotic. 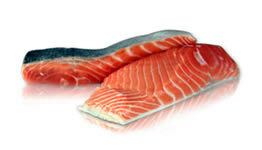 We are very aware of sustainability and buy all our fish from a responsible source. We support the inshore fishermen who take pride in the environment in which they work, and these fishermen are actively helping to protect the future of our seas by taking time to tag lobsters and record stock levels whilst they are fishing. We buy from many different suppliers including our very good friends Thomas and Melody Large, who live in the lovely coastal village of Brancaster. Thomas's family have been running their boat for many generations out of the small quay of Brancaster, supplying freshly caught Norfolk crab, lobster and mussels to the local restaurants and people. The season for Brancaster mussels is between September and April. In-between the seasons we buy Scottish rope mussels, so the wonderful recipe "mussels in white wine" can be enjoyed throughout the year. 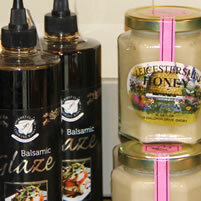 Excellent quality fresh produce including fish, poultry and game; that's what it's about!